Dying my hair has been a regular thing for about ten years. I like to change my style, as well as topping up over my greys, so it’s become a practice that my bathroom fears about every six weeks. (You know why… you can’t dye your hair without dying half the bathroom too.) 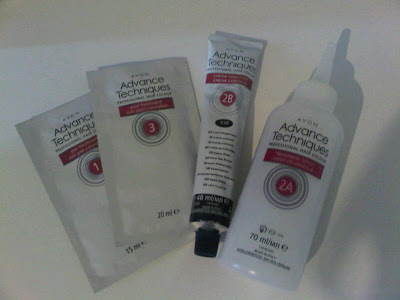 Avon are about the launch their new collection of ‘Advance Techniques’ Professional Hair Colour which claims to protect before, during and after colouring – something that’s a must if, like me, you dye your hair on a regular basis. The dye contains the usual elements – mixing lotion, creme, conditioner- but also a little sachet of ‘primer’ which you apply to unwashed hair before you apply the dye. You massage it in, avoiding the roots and it claims to create some kind of barrier. It’s not entirely clear from the instructions or pack what this actually does so I can’t explain the science of it, but apparently it’s a new kind of professional treatment that means your hair follicles are protected so you don’t do any damage. Always a good thing. The dye is easy to use and didn’t drip or flip around as much as a lot of other dyes I’ve used. It sat quite comfortably on my barnet for 20 minutes while developing and then washed out really easily, leaving super soft and shiny hair. I was really pleased that it didn’t dye my skin either as I quite often end up with a red forehead for a few hours – not with this though… maybe that’s the point of the primer? The resulting colour wash rich, shiny and bouncy. 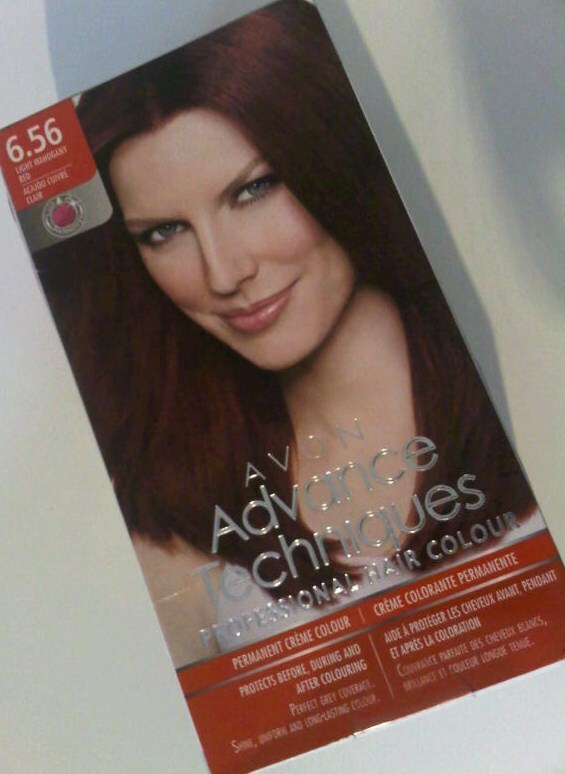 I have no complaints with this whatsoever, which is a good thing seeing as that’s normally how I rate a hair dye! I’m pleased with my colour and the state of my hair so will definitely be using this again. Advanced Techniques Professional Hair Colour is available from 12th May in 25 different shades. Available from an Avon representative or online. Glad to have you Emma!